Club Penguin Cheats by Mimo777 Club Penguin Cheats by Mimo777: Whoa! 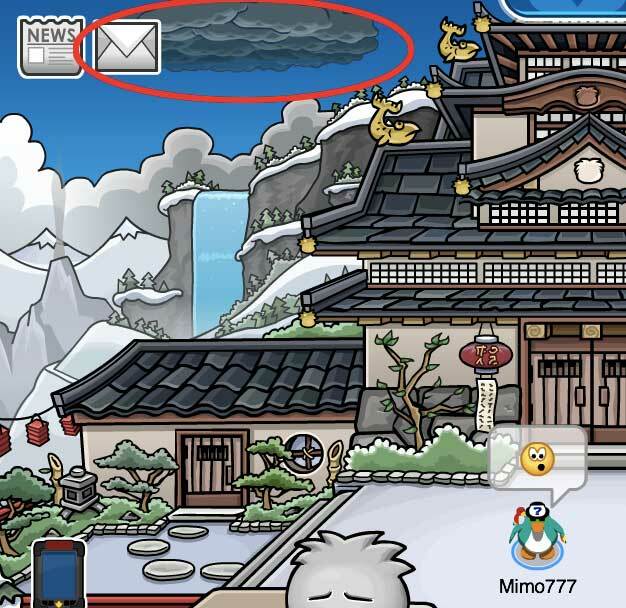 Look A New Storm Cloud Over the Club Penguin Dojo! Whoa! Look A New Storm Cloud Over the Club Penguin Dojo! Wow! This is cool cool! There is a new storm cloud over the waterfall near the courtyard next to the Club Penguin Dojo! Wow! Awesome! Amazing! But what could it mean?! I won't be able to sleep tonight because of this brand new thing! Ok, now we all know that this has been there for. Like. Ever. But for some reason ppl keep telling us that it's new. So I thought we would play along. So, leave a comment and play along too! It's so amazing, right? hey mimo! i hve just opened a pack of card jisu cards and got a golden puffle card. it said that this creature lives in myths,but is it reallyunder the iceberg? and remember in the club penguin video it said about tipping the iceberg.so i think that we are going to find the golden puffle! Uh, Mimo, that cloud has been there. It isn't new! Mimo i thought i really changed until i read the end XD cause i was think that i saw no difference. You didnt read the whole post did you guys? Who lives under a ice burg under the sea, puffle, golden pants. Um... does anyone read all of the posts any more? Yes... the cloud has been there for a really long time... Mimo pointed that out... I've read a lot of the comments on this blog, and I totally agree that a ton of them are just about the cloud. They're all like "OMG THERES A CLOUD! WHAT DOES IT MEAN?" Also I just realized that I caused a huge mess. Now everyone's saying "Oh! I saw a crack in the iceberg!" or "I think we're going to find the golden puffle under the iceberg or maybe on Rockhopper Island because Club Penguin said we would tip the iceberg!" Club Penguin DID NOT say that we would tip the niceberg, or find Rockhopper island, or any of that! hey guess what people? read the whole blog post!!1! he knows its been there! OMG a new Cp mystery. My brother got a pack of water cards and it wasn't the usual. It was called Water: second wave! It had all new cards, (well except it had Pop, an original card) and it was so cool! And people! Read the whole post! He knows it's been there forever! It's a joke! Sorry dude, you've already posted about this. We all know...Learn how to read the whole post next time, k? I am laughing so hard right now. Mimo77, you rock. This stuff cracks me up. Wow! What do you think the clouds mean!? Do you think Herbert made them? @lega p1 hmm maybe becuase happy77 has a youtube channel and there is a cideo of a new puffle this year! It's obvious isn't it? Club penguin is gonna make Shadow Ninjas. What? I'm not going with the flow. Are you crazy it's been there since last year November! And i did read the whole post but I'm following you guys. hey mimo,the music has changed in the dance club! I knew the stormcloud has allways been there but it look different until I went to have a look at it my self. Do I see a water party coming on? Maybe another storm? They have made some changes in CP Beta Site! If you read the post, you would know the post was a joke. Mimo knows its been there forever. Hey Mimo, My name Is Carter and I wanted to tell you that when i press the S button on my keyboard I can't sit down. And I wanted to know If you know why? Wow! I can't believe it! Maybe it's a sign for a new Card Jitsu, like Card Jitsu Storm, or Card Jitsu Water! Woah! Thats so cool! I wonder what it means? Is there some kinda new "dark cloud ninja"? lol. i was almost about to comment and say it has always been there. btw mimo, no one falls for these anymore. probably not. first of all, the "golden puffle living under the iceberg" myth was started on YOUTUBE, where people are pretty much always lying. Mimo.. that's been there like.. forever.